Bashford Place Condominiums - V.G. Murray & Company, Inc.
Quaint community of eleven townhomes with stone walls and attractive grounds. 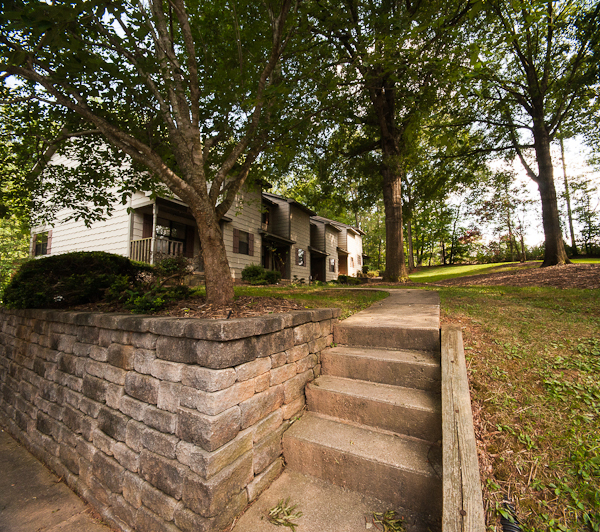 West Raleigh location convenient to NCSU, Cary, shopping, I-440 Beltline. All units have either patio or raised deck, washer/dryer connections, (1 bedroom units have washer/dryer furnished), dishwasher. For more photos and a Google map, please see Bashford Place Condominium Photos.